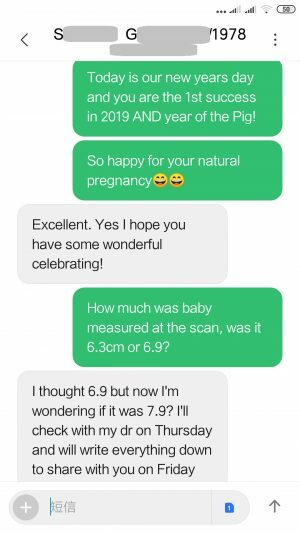 Congratulations to Ms. M.V.M’s pregnancy in February 2019! 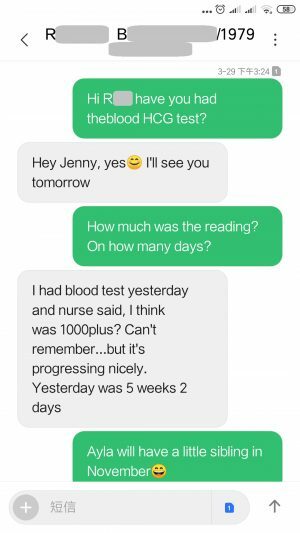 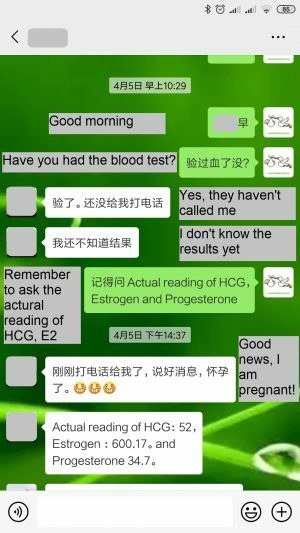 Ms. M.V.M is confirmed pregnancy by HCG blood test on 20/02/2019! 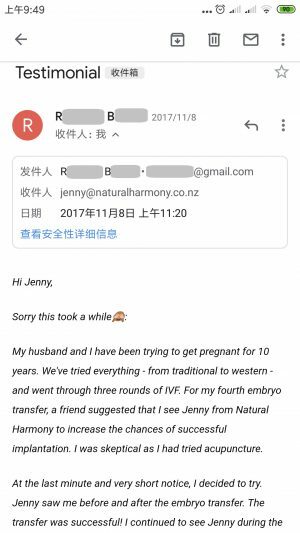 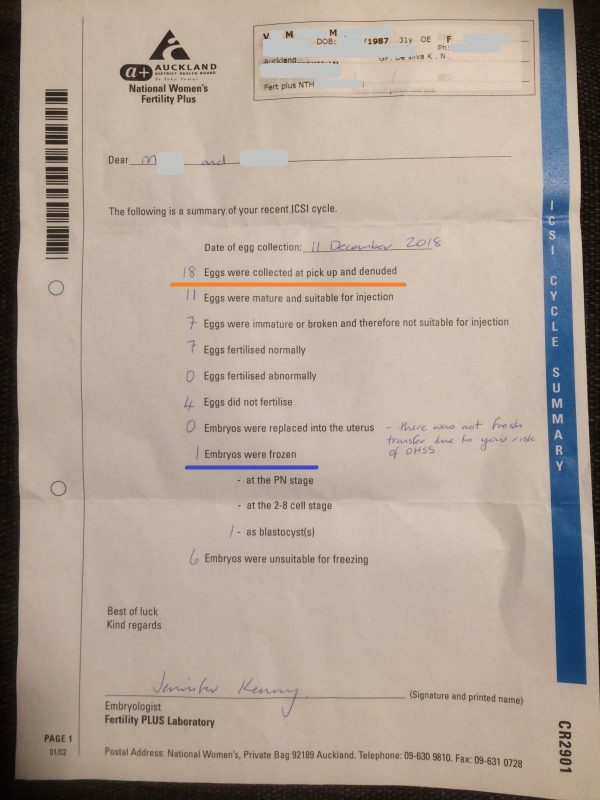 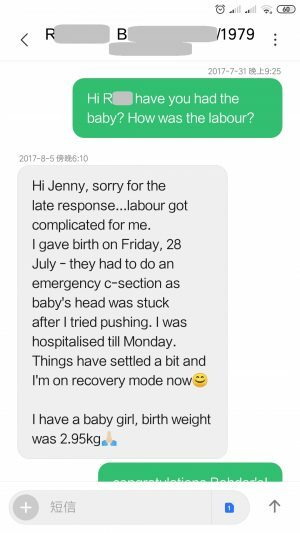 She had 18 eggs collected after ovulation promoting acupuncture but only achieved 1 embryo, and the only embryo has implanted successfully after the uterine-receptivity enhancing acupuncture! 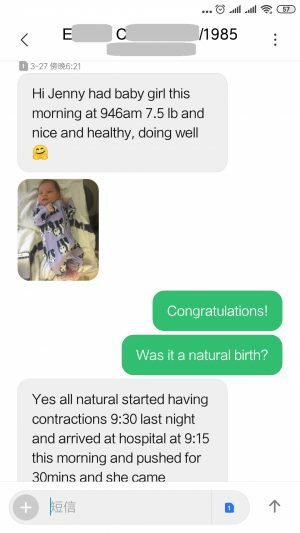 Congratulations to the precious success to you! 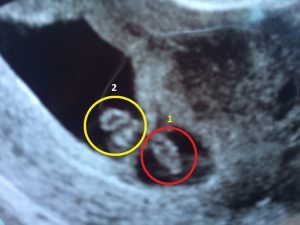 Congratulations to the first twins in 2019! 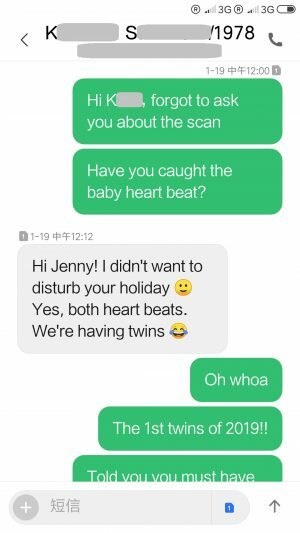 Ms. K.S has caught two hearts beats at the first scan of pregnancy, the first in 2019! 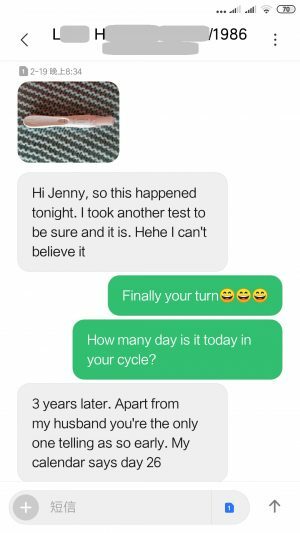 she achieved the success of pregnancy at the first attempt of IUI in December 2018! 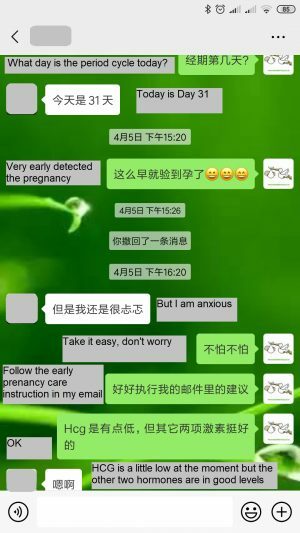 Congratulations to Ms. K.S’s pregnancy at the age of 40 in December 2018! 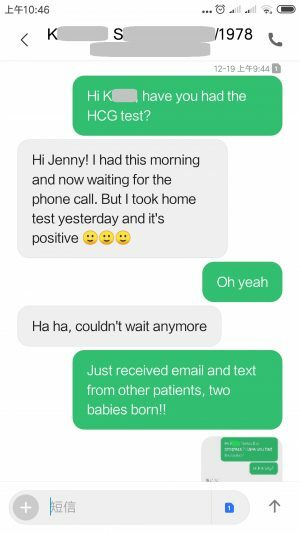 Ms. K.S had her first attempt of IUI and it was successful! 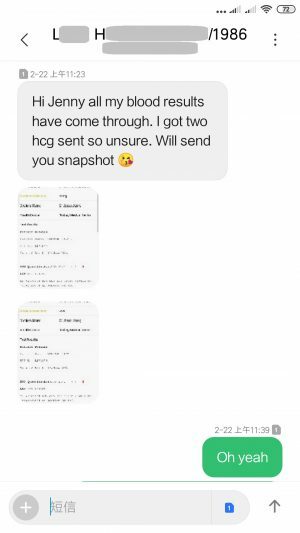 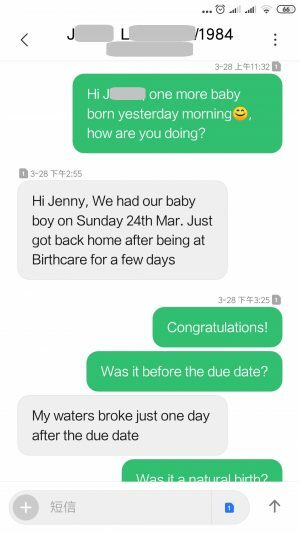 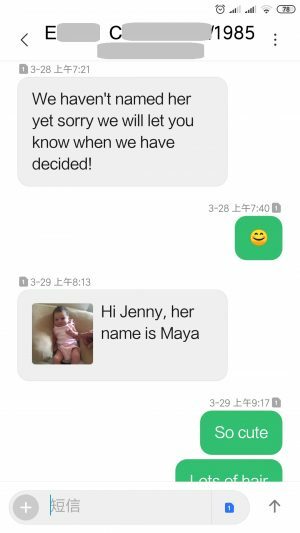 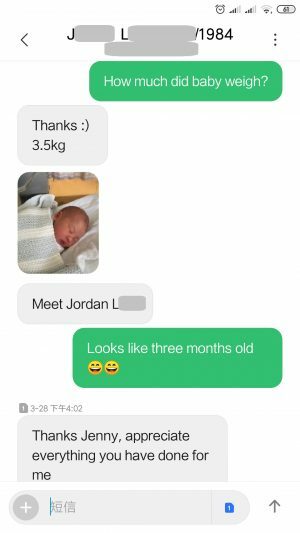 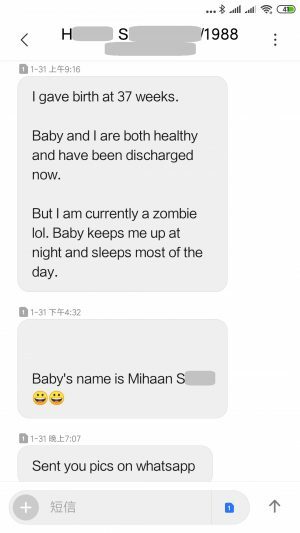 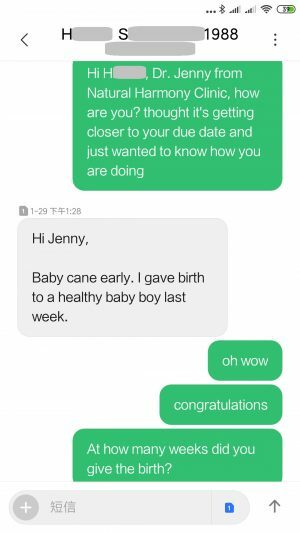 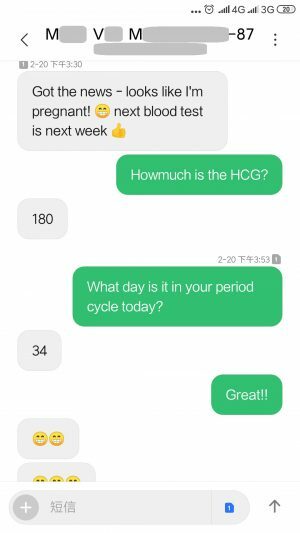 The pregnancy was confirmed by HCG on 19/12/2018! 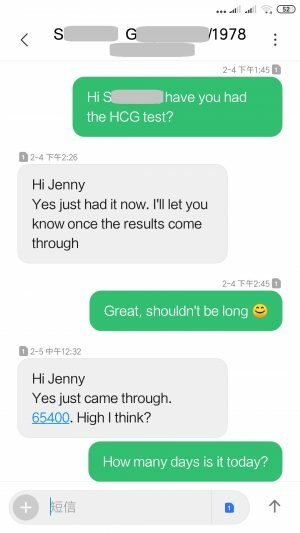 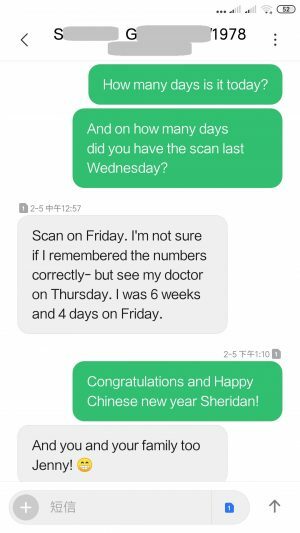 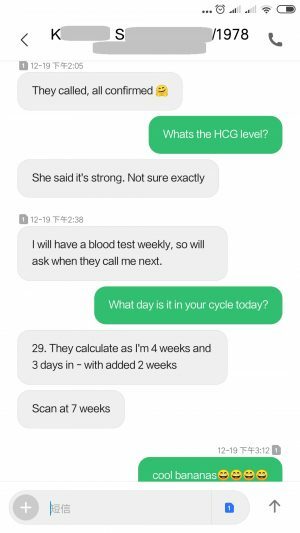 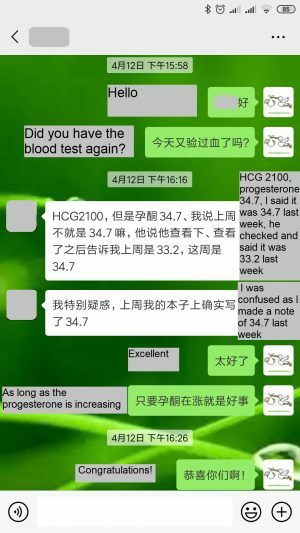 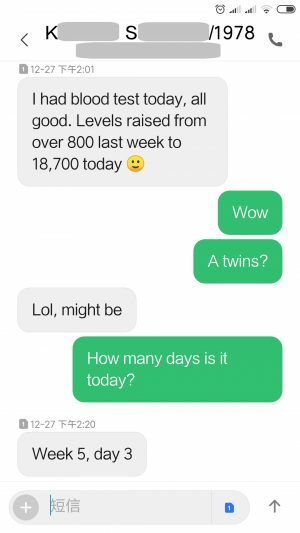 The HCG level is 18,700 on 5 weeks+3 days, strong and steady! 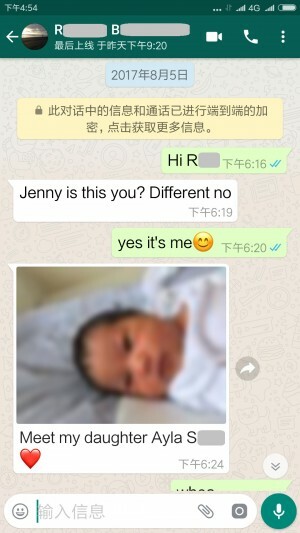 Congratulations to you and family for the best new year’s present!